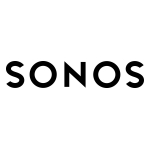 SANTA BARBARA, Calif.–(BUSINESS WIRE)–Sonos, Inc. (“Sonos”) (Nasdaq: SONO) has released its financial results for the first fiscal quarter ended December 29, 2018 in a letter to shareholders available on the investor relations section of its website. To view the letter, please visit: https://investors.sonos.com/investors/default.aspx. As previously announced, Sonos will host a conference call and Q&A to discuss the results at 5:00 p.m. Eastern Standard Time today. A live webcast and replay of the conference call and Q&A will be accessible at: https://investors.sonos.com/news-and-events/default.aspx. The replay will be available for at least one year following completion of the call. The conference call may also be accessed by dialing (877) 683-0503 with conference ID 2141828. Participants outside the U.S. can dial toll-free (647) 689-5442.